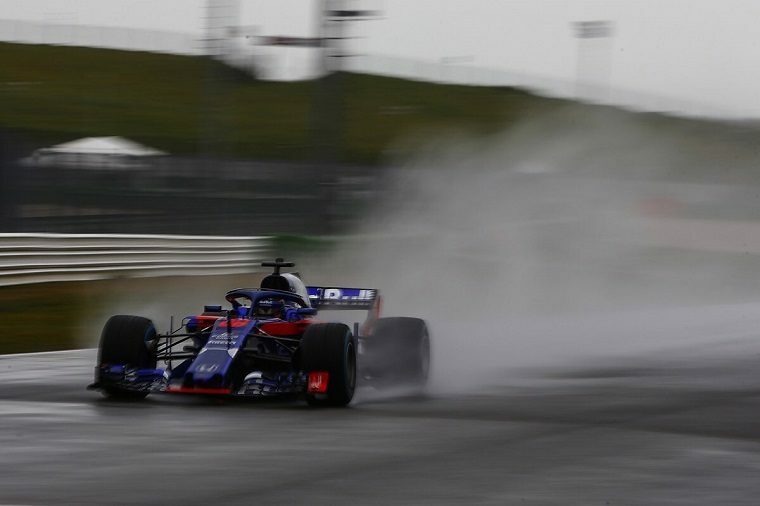 Before officially unveiling the new STR13 to the public on Monday, Toro Rosso took its new 2018 Formula One car for a shakedown session at the wet Misano circuit in Italy. A spy photographer managed to snap a picture of the car and uploaded it to the internet, which prompted Toro Rosso to follow up with an image of its own—“Why settle for a leaked photo, when you can have an original” asked the tweet that came with the image above. Given the many questions surrounding the reliability of the engine, it’s an encouraging sign that Toro Rosso seemed so pleased with it and bodes well for the team’s new partnership with Honda. Both Toro Rosso’s new drivers, New Zealand’s Brendon Hartley and France’s Pierre Gasley, had a go behind the wheel, though the team was limited to 100 kilometers and to using special one-off Pirelli tires. Given that the halo is made of titanium, he is more likely to break the chainsaw than the safety device. Still, we wouldn’t scorn the attempt.